On April 17, 2017, I will join hundreds of Dana-Faber Marathon Challenge (DFMC) runners who will take to the streets to participate in the 121st Boston Marathon®. The DFMC team runs and raises funds with thousands of adults and children affected by cancer in mind. From Hopkinton to Boston, we carry thoughts of thousands of adults and children with us every step of the way. I'm grateful for the opportunity to run for Dana-Farber Cancer Institute because 100% of every dollar raised by the DFMC team supports the Claudia Adams Barr Program in Innovative Basic Cancer Research at Dana-Farber Cancer Institute. Check out this short video to see how funds raised through DFMC are fueling some of today's most promising basic cancer research. 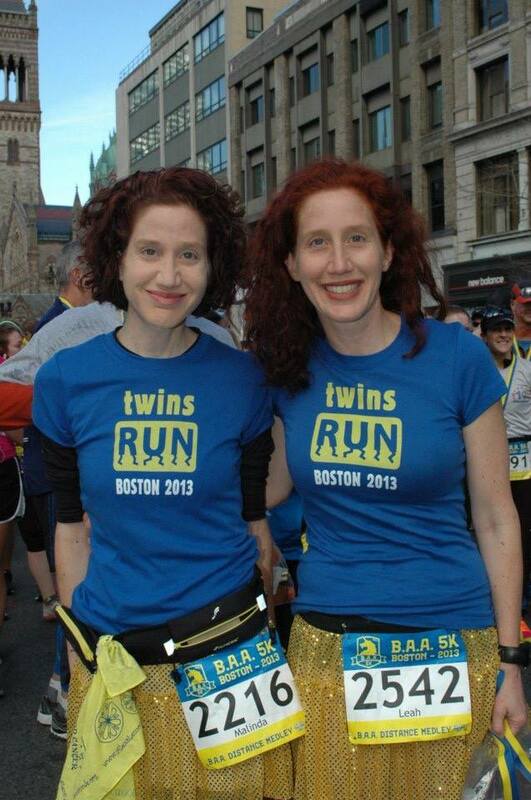 My identical twin, Leah, finished her 1st Boston Marathon® in 2013. We were reunited moments before the tragedy and deeply affected by the pain so many families had to endure. In the years following the tragedy, I was determined to qualify for the Boston Marathon® so that Leah and I could run together in memory of those who died and in honor of those who survived. Since 2013, I've attempted but failed to qualify 11 times while continuing to raise awareness and funds for pediatric cancer research. I am now more determined than ever to qualify during the 2017 Boston Marathon® while raising funds to support the Claudia Adams Barr Program in Innovative Basic Cancer Research at Dana-Farber Cancer Institute. I am grateful for the opportunity to be part of the DFMC team so that Leah and I can run together in memory of Michael, GG, Joe, Susan, Kyle and all those we know who have died from cancer. Please join us in the fight to conquer cancer! No donation is too small and 100% every $1 donated will help fund cancer research! Together, we're headed toward the ultimate finish line: a world without cancer!